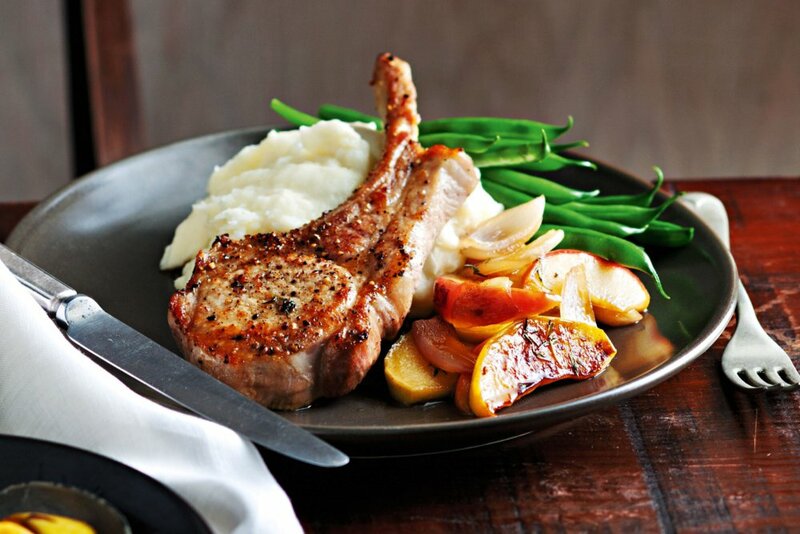 Successfully saved Apple & maple pork chops to your Calendar. You can also save the ingredients to your Grocery List. Sweeten this mid-week pork with a splash of maple syrup poured over pan-fried apples.